Pastoral care at Holy Martyrs is top priority for our Pastoral Staff and it takes many forms. During times of need and/or crisis, our parish office should be the first point of contact so our Pastoral Associate or Fr. Steve can respond promptly. However, our pastoral care efforts go far beyond that initial pastoral visit. Several ministries have been formed to be able to respond to the spiritual, emotional and physical needs of parishioners who may be in crisis – on a temporary basis or for a longer period of time. Holy Martyrs prayer support includes daily prayers by the staff and those who are able to offer prayers for all those who are ill, who are unemployed, those who are encountering difficulties in their marriage or with children, as well as for those who have died. Prayer requests are submitted online, in person or through phone calls and email and then passed on to those in the Prayer Support Chain the same way. If you would like to submit a prayer request, email churchoffice@holymartyrs.net. When a member of our parish community is ill and hospitalized, a call to our parish office at 330-722-6633 will allow one of the pastoral staff to visit in the hospital or home, to pray with and for the person and to bring Holy Communion. Fr. Steve is available for anointing of the sick, which may be requested in advance of planned surgeries or medical treatments as well as when one is suddenly hospitalized. Holy Martyrs also offers communal anointing of the sick twice each year as a regular opportunity for those who desire this sacrament of healing for any physical, emotional or spiritual illness. Members of our parish visit the sick and bring the Eucharist each week to those who are hospitalized, in nursing homes, or are sick or infirm at home. If you or someone you know would like to receive Communion, please call Holy Martyrs parish office at 330.722.6633. The Ministry of Assistance is able to respond to those who face emergencies and need groceries or help with necessities like rent or utilities when there has been the loss of employment or other catastrophes and help is needed. Our food pantry supplies families in our area as they are able, following an interview which determines how the needs might best be met. Food Distribution is every Tuesday from 9:30 AM until 11:30 AM. If you need assistance, please call the Ministry of Assistance directly at 330.635.4989. 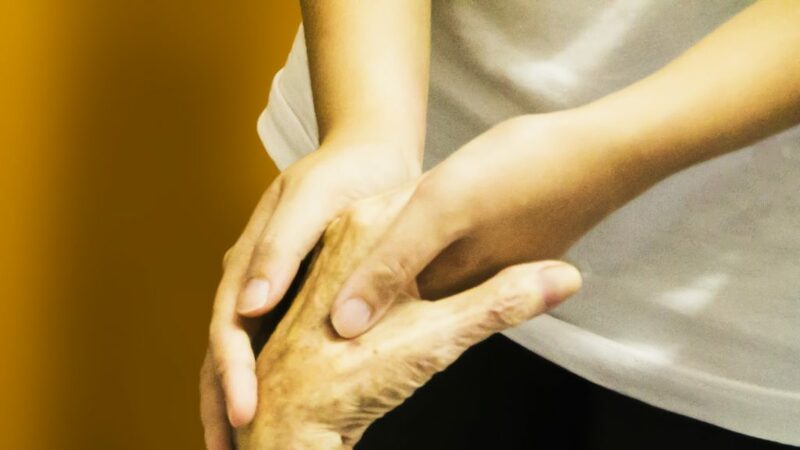 Those who are facing terminal illness with their families are a special focus of pastoral care and support and every effort is made to journey with people through this difficult but often surprisingly grace-filled time. Fr. Steve or Janet are grateful to be able to be present to offer support and appreciate calls to alert the pastoral staff to these situations, which often develop suddenly. Our Ministry of Consolation members are also attentive to the needs of parishioners and their families with prayers, providing sources for the grieving and periodic grief support groups.